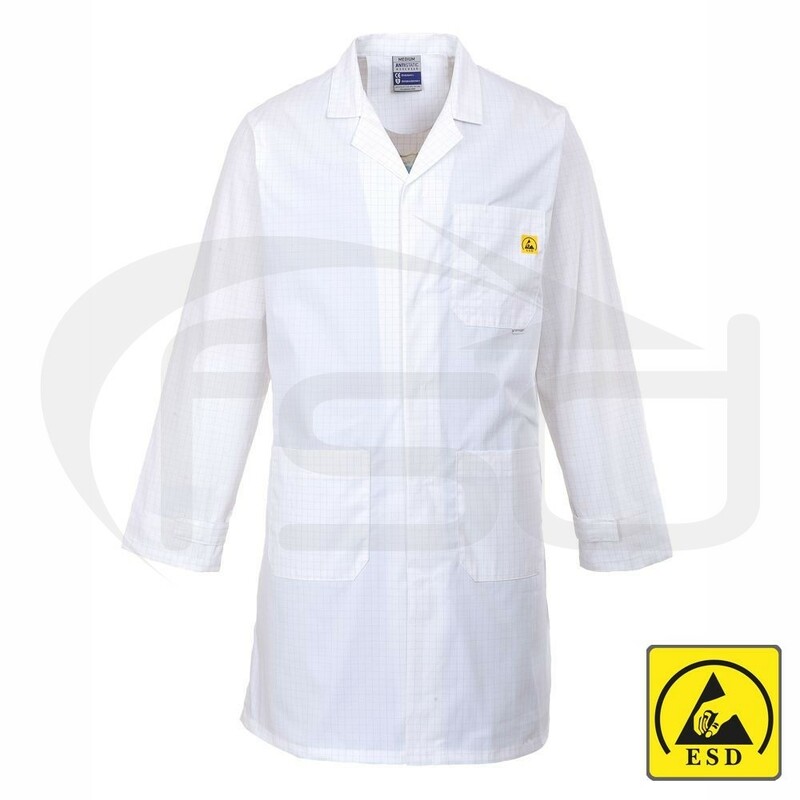 This inherently anti-static coat is ideal for environments where electrostatic resistance is required. Features include concealed stud front, two lower patch pockets, one chest pockets and adjustable cuffs. 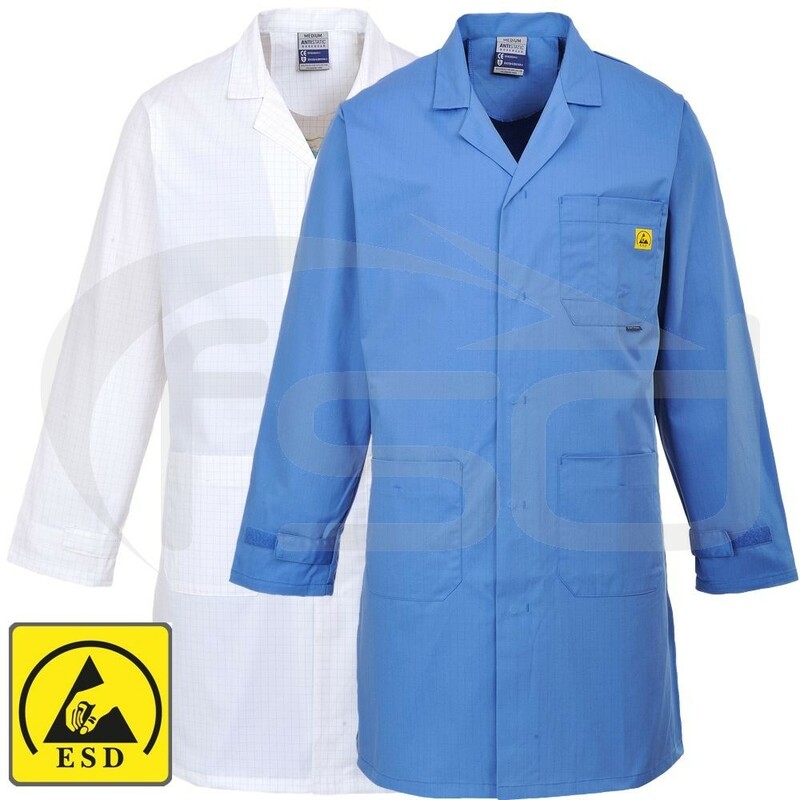 Made from 210g material, 65% Polyester, 34% Cotton and 1% Conductive Fibre.